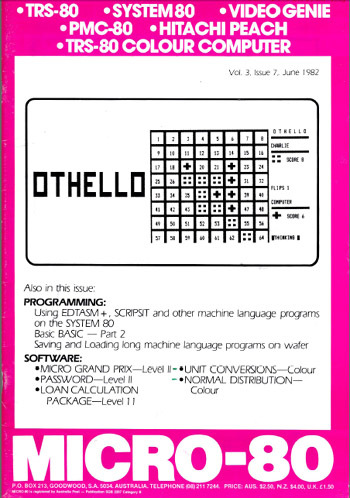 This page contains links to PDF copies of all Micro-80 issues published. Most of these documents were available on Ira Goldklang's website at www.trs-80.com but for various reasons Ira can no longer host them. Some were donated by others. As they played a large role in supporting the System-80 in Australia and New Zealand I've decided to make them available through this site. Many thanks to Kevin Parker and Ian Mavric for rescanning these to a smaller size. Note that there was never any Volume 2 or Volume 4, issue 5.